Which place in Radiator Springs do you most want to visit? Mia and Tia is better in: Red or Green? Who do u think Sally is madami interested in? You just gotta pag-ibig 'im. Tow Mater was brought into this world in the little town of Radiator Springs, along historic Route 66 in the taon of January 12th, 1957. Although it is not known for sure, he is believed to be the son of Stanley and Lizzie Mater from Radiator Springs. 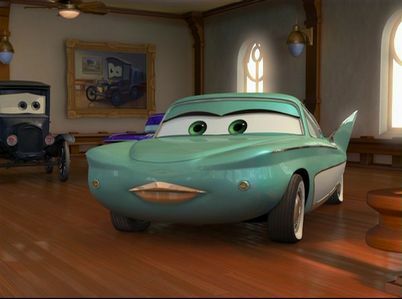 I pag-ibig all of the Disney Cars characters except for one is Chick Hicks and he is okay but he is mean though. Some people don't like them like me! a video ay idinagdag: Look At Me, I'm The Mater Now! Cars Craziness ! a video ay idinagdag: Cars Craziness Part 2! What does Flo sell at her business?